SALT LAKE CITY, Utah –Since 1990, Columbia, Pennsylvania’s Right Coast Recording has been a haven for area and national artists, from local luminaries like Burning Bus, Beru Revue and Jump the Gun to top artists like Billy Joel, the Dixie Chicks and Yes. Built around a 42' x 35' x 16' main studio space that encourages live tracking sessions, the central PA studio combines the best of old-school and cutting-edge recording technologies – with HARMAN’s Lexicon plug-ins and processors as key sonic elements. “We’ll use whatever it takes to get the right sounds for our artists and corporate clients,” said Bobby Gentilo, Manager at Right Coast. “More often than not, Lexicon reverbs and effects find their way into the final mix.” Right Coast’s Lexicon arsenal includes the PCM Native Reverb Plug-In Bundle, two 224 digital reverbs, an MX200 effects processor and a classic PCM 70 digital effects processor. Gentilo first started recording at an early age by bouncing tracks from one cassette tape deck to another. “I got into writing songs and needed to know how to get the sounds I wanted to hear on tape. As a young musician I realized early on that sometimes people had one specific way to get a sound that I didn’t necessarily care for or agree with.” As a result Gentilo became a self-confessed “studio rat,” building a rudimentary studio with fellow band members in a subleased space. When the band ended up “being kicked out literally overnight,” Gentilo knew it was time to make the next move, eventually and perhaps inevitably connecting with Right Coast studio owner Dave Natale. 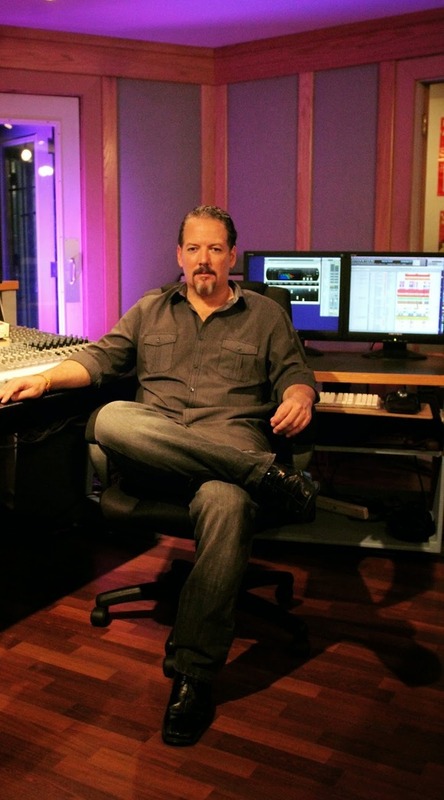 Gentilo notes that “Dave was doing what I had always envisioned,” as owner of Right Coast and front of house engineer for artists including Olivia Newton-John, Tina Turner, Lionel Richie and many more (he currently mixes shows for The Rolling Stones). “His approach to getting recordings to sound somehow natural and ‘right’ and with dynamics, clarity and punch was what I had been trying to achieve.” At the time Right Coast was totally analog. “I knew computers and knew there were benefits to both analog and digital. I felt that Right Coast could move to a combined old-school meets new-school approach. Besides, Dave liked my band,” Gentilo laughed. Natale agreed and the two of them have been working together ever since. “Bobby is a great example of how to successfully mix old school hardware with newer plug-ins to give clients the best of both worlds. Right Coast is a model studio and its great to see Lexicon continue to be such a central element to the work they are doing at Right Coast Recording,” stated Jason Kunz, Market Manager, Portable PA, Recording and Broadcast, HARMAN Signal Processing.